You are receiving this issue again because a glitch deleted some key images in the original sent Wednesday. While we investigate what happened, we hope you enjoy this fully illustrated Georgia Wild! Remember the “Tastes great, less filling” commercials? Changes coming to DNR wildlife license plates could spur a conservation knock-off of the brewhaha. The take-home line for tags? Great support, less cost. Thanks to legislation passed by lawmakers, supported by stakeholder groups and signed into law by Gov. Nathan Deal, the license plates that provide critical funding for work involving nongame, northern bobwhites and trout will cost less and provide even more support. House Bill 881 lowers the cost of buying or renewing the eagle, hummingbird, quail and trout tags to $25 and dedicates more than 75 percent of that fee to wildlife programs the plates benefit. The breakdown: $19 of every plate purchase and $20 of each renewal will, by law, go to help conserve and manage native Georgia wildlife and natural habitats, from bald eagles to longleaf pine forests. The changes are scheduled to take effect July 1. They rate even more important considering that the state does not provide general revenue for the core missions of DNR’s Nongame Conservation Section, which conserves rare and other nongame wildlife, and the Bobwhite Quail Initiative, focused on restoring quail populations and habitats. The three nongame plates – the eagle and hummingbird designs – account for more than half of all contributions to the Georgia Nongame Wildlife Conservation Fund, the source of non-federal funding for the Nongame Conservation Section. With the changes, there’s no debate that wildlife tags will give Georgia wildlife an even better chance. It was a short drive for an unexpected sight. The Orianne Society’s Kevin Stohlgren and Andy Day were surveying a tract in southeast Georgia for eastern indigos just before Christmas when they decided to check out a gopher tortoise burrow at a nearby site where one of the federally threatened snakes had been spotted. Stohlgren said that within 10 feet of where they parked he and Day saw two large male indigos in combat (watch the video!). Indigos, like a number of other snake species, fight over females during mating season. Males try to pin rivals down and – unlike some snakes – even bite each other. These two included a 6-foot, 9-inch indigo about to shed – a condition accounting for its cloudy looking eyes – and a smaller male. “The one had a pretty good size advantage over the other,” said Stohlgren, assistant conservation scientist with Orianne Society, a Georgia-based nonprofit dedicated to conserving imperiled snakes. The match lasted only a few minutes, as Day snapped photos and Stohlgren took a quick video. The smaller snake lost and slipped away. Stohlgren and Day measured, tagged and released the winner, all part of long-term monitoring done by Orianne and supported by the Nongame Conservation Section to probe indigo population trends in the Altamaha River basin, one of the species’ few strongholds. Orianne is also surveying for eastern diamondback rattlesnakes, which share sandhill habitats and an affinity for the shelter of tortoise burrows. Even for veteran snake seekers like Day and Stohlgren, the fight was a highlight. Combat involving North America’s largest native snake probably happens regularly during mating season, Stohlgren said. Kevin Stohlgren said there was an indigo in the tortoise burrow near the fighting snakes, though it’s unknown if it was a female. About a month later, a female indigo was documented at the burrow. Eastern indigos exhibit pronounced sexual size dimorphism. The largest male indigos in the wild (6.5-7.5-plus feet) are longer than a typical large female (about 5.5-6.5 feet). The winter bat monitoring season had an ominous start. Kevin Glenn of the National Speleological Society emailed in early February to report signs of white-nose syndrome on bats in Kingston Saltpeter Cave. I had been expecting to start hearing reports of bats with white fuzzy noses any day. But Kingston, in Bartow County, would be the farthest south the disease deadly to bats had ever been reported. Pete Pattavina of the U.S. Fish and Wildlife Service joined me for the Feb. 22 survey with Kevin and his partner, Shannon. Kingston Saltpeter Cave has an interesting past, from its use as a dance hall to the mining of saltpeter for gunpowder. Our survey added to that history: We found the fungus that causes WNS on more than half of the 160-plus bats in the cave. Read the blog by Nongame Conservation Section biologist Trina Morris as she recounts the surveys this winter that revealed a white-nose invasion in Georgia caves. Also, watch a slideshow of the survey season (click "Show info" to see image captions). Skin irritation from the fungus leads to bats being awakened too often from hibernation, or less intense periods of torpor. The bats use up fat reserves needed to survive hibernation. Affected bats often leave hibernacula in winter, searching for insects that have not yet emerged, and dying of starvation and cold. Death rates of 90-100 percent have been seen in some hibernacula. By one estimate, WNS has killed more than 5.7 million bats in eastern North America. 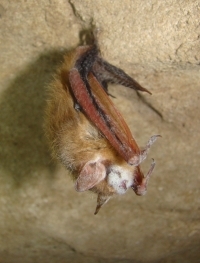 Emaciation and poor body condition were common factors in bat carcasses checked by the U.S. Geological Survey’s National Wildlife Health Center. Many of the bats examined had little or no body fat. The 2013-2014 hibernating season ended in the confirmation of WNS in 25 states and five Canadian provinces. See "Where is it now?" The North Atlantic right whale that drew attention worldwide when DNR and others partially freed it from commercial fishing gear Feb. 17 was spotted in Cape Cod Bay on April 12. Although it appeared to be feeding normally, the whale was still dragging a piece of rope likely caught in its baleen. Entanglement in commercial fishing gear is one of the leading causes of death and injury for imperiled North Atlantic right whales. Learn more about the 2013-2014 calving season. Bog Learning Network members will meet at U.S. Forest Service offices near Clayton May 29-30. The group works to advance stewardship and management of mountain bogs, an endangered Southern Appalachians habitat that is home to rare species such as swamp pink and the focus of a proposed national wildlife refuge in Tennessee and North Carolina. Sea turtle strandings in Georgia are up to 22 as of this week. Strandings – dead turtles washing up on the beach – are the main index of at-sea mortality. To report a dead or injured sea turtle, contact the DNR at 800-2-SAVE-ME (800-272-8363). A new DNR tract in Walker County offers recreational opportunities and key access to the northwestern end of Crockford-Pigeon Mountain Wildlife Management Area near Deerfield. Funding to acquire the 343 acres came from a U.S. Fish and Wildlife Service Pittman-Robertson grant and the Open Space Institute's Southern Cumberland Land Protection Fund. Eighty Alabama shad caught below Lake Seminole’s Jim Woodruff Lock and Dam have been implanted with radio transmitters and released upstream of the dam. DNR Fisheries Management staff will track these sentinel fish to explore Alabama shad habitats in the Flint and Chattahoochee rivers. Mussel research involving work by Nongame’s Jason Wisniewski, Deb Weiler and other aquatics staff is featured in two recent journal articles. One led by Wisniewski and published in Walkerana, journal of the Freshwater Mollusk Conservation Society, probes modeling on the lower Flint River designed to efficiently detect and assess the status and habitat use of mussel species. An article in the Royal Society of Chemistry’s Environmental Science: Process and Impacts discusses work by former UGA Ph.D. student Aaron Shoultz-Wilson on Altamaha River basin mussels and shell chemistry as it relates to water quality and evidence of trace metals. Registration is going strong for Junior Naturalist summer camps at Charlie Elliott Wildlife Center. Many of the overnight camps are already half or more full. Sign up! Hydrophones deployed off St. Simons Island will record any fish implanted with a sonic transmitter that swim within 300 meters. The project by DNR’s Coastal Resources Division and South Carolina DNR is aimed at better understanding habitat preferences and migratory patterns of fish such as Atlantic sturgeon, red drum, tripletail and several shark species. High school students put their environmental knowledge to the test -- including identifying bird songs (above) -- during the recent Georgia Envirothon, held at UGA’s Griffin campus. Team 1 from Appling County High in Baxley scored the highest at DNR’s wildlife station and won top honors in the overall competition. Quail and the habitats they and other grassland species need will benefit from the newly announced Florida/Georgia Quail Coalition. DNR’s Wildlife Resources Division, the Florida Fish and Wildlife Conservation Commission, Quail Forever and Tall Timbers Research Station & Land Conservancy are teaming to promote quality habitat for the northern bobwhite and support youth shooting sports programs and education. “Searching for Hellbenders,” aired by Discovery Channel, won a bronze Remi at Worldfest-Houston International Film & Video Festival. The Daily Planet segment featured Nongame wildlife biologist Thomas Floyd. The Migratory Birds Joint Venture website is live. The site highlights the work across North America of Joint Ventures, regional partnerships aimed at conserving habitat for the benefit of birds, other wildlife and people. Names in the news: The U.S. 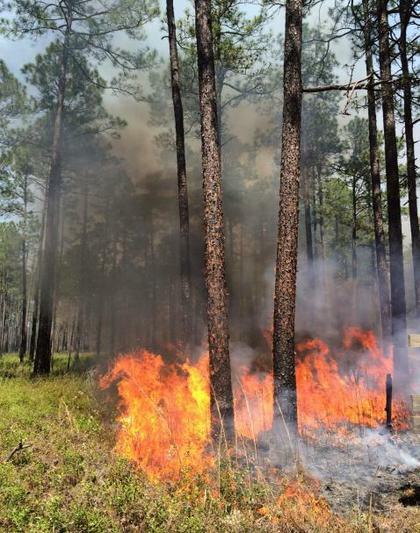 Fish and Wildlife Service’s Southeast Region office presented its first National Fire Safety Award to Rocky Chesser, a maintenance and equipment supervisor with fire qualifications at Okefenokee National Wildlife Refuge. The Florida Fish and Wildlife Conservation Commission recently honored staff wildlife scientist Joan Berish, described as being at the forefront of work involving conserving and managing gopher tortoises, with the agency’s Louise Ireland Humphrey Achievement Award. May 1 – First-ever joint meeting of the Alabama and Georgia Plant Conservation Alliances, Auburn University. Contact: Jennifer Ceska. 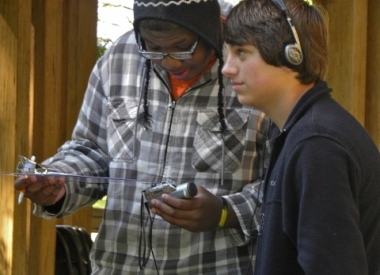 May 20-23 – Certified Interpretive Guide training workshop, Stone Mountain Park. Contact: Naomi Thompson.